Potential buyers can look over the available cars that are going up for auction before the bidding starts. 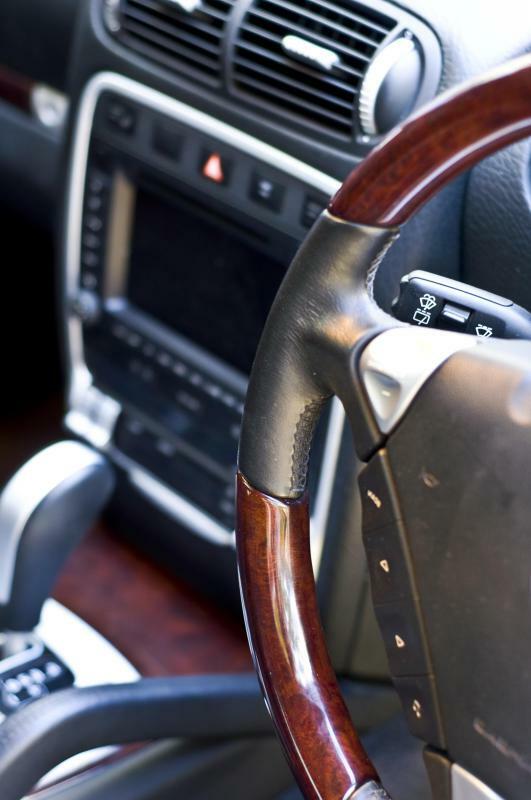 Prospective buyers at an auction will likely inspect a vehicle's interior, among other elements. During a vehicle auction, each vehicle is given a number, and when that number is called, that vehicle will be front and center for bidding to take place. An auction is the selling and buying of items through bidding. A vehicle auction is an auction that specializes in the selling and buying of vehicles like cars, boats, and motorcycles. 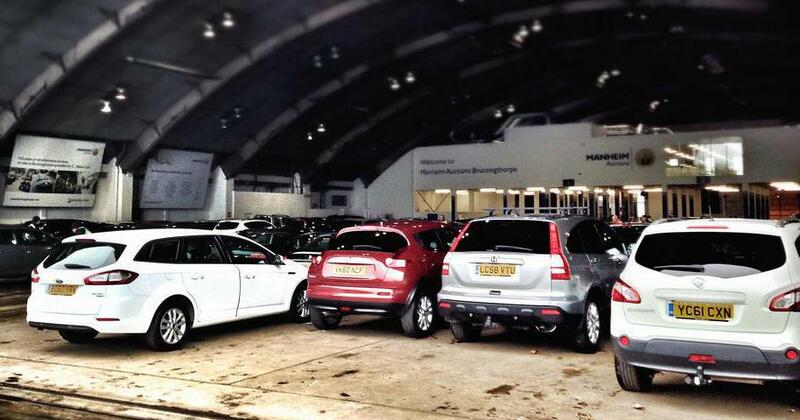 Car auctions are the most popular of the three. There are two main forms of auctions, open bidding and silent auctions. Prior to the start of an open bidding auction, buyers have the opportunity to look over the items available for purchase. Vehicles are often lined up with their hoods and doors open. This allows the prospective buyers to inspect the vehicles’ engines, as well as their interiors. Each vehicle is assigned a lot number. When a vehicle’s lot number is called, it is either pushed or driven to a central area for bidding to take place. During a vehicle auction, the auctioneer will act as the agent for the seller. He will shout out prices and the buyers will either raise their hand, or paddles, to indicate whether they are willing to pay the price being suggested. The auctioneer will acknowledge each buyer’s bid. Bidding ends when none of the other buyers are willing to pay more than the last acknowledged offer. The auctioneer will then accept the highest bid, and declare that the item has been sold to that buyer. Sometimes a seller may require that a minimum price be paid for a vehicle. If this is the case, then he can set a reserve price. If this price is not met during bidding, the owner has the right to withdraw the item and the vehicle is not sold. During a silent vehicle auction bidders are still allowed to inspect each lot, but bids are written on a piece of paper and are placed in a box next the item. Sometimes these auctions are done in rounds. At the end of each round, the bids are listed and placed next to the item, giving buyers the opportunity to look at the bids and decide if they wish to bid again and for what amount. Internet auctions started in 1995. Online auctions have greatly altered how items are sold. Vehicle auctions are quite common on the Internet. Buyers can request more information about the item for sale, or arrange to see the item. The bidding method is closer to a silent vehicle auction because the bidder does not have any actual contact with the auctioneer or seller during the bidding process. In the U.S., the government may seize a vehicle due to an owner’s criminal activities or unpaid taxes. Cars that are seized in this manner are often liquidated in a vehicle auction. Buyers can typically purchase these items at a price well below market value. 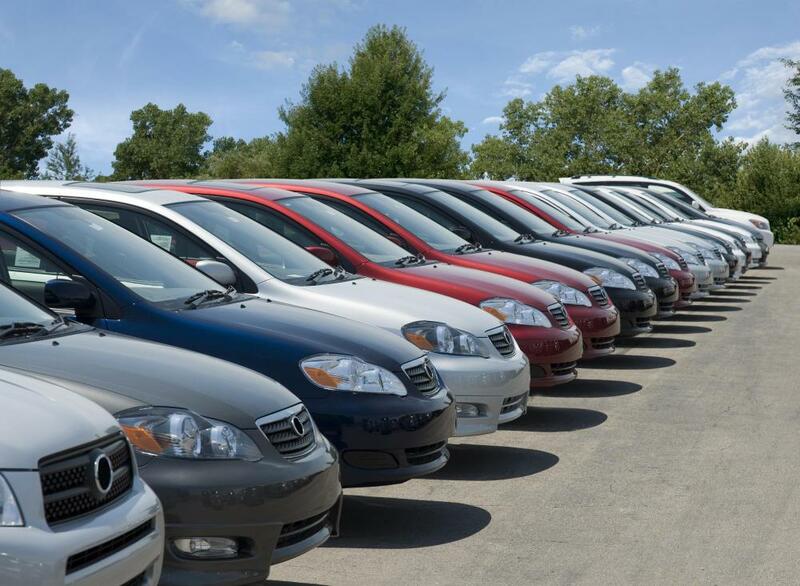 Government vehicle auctions occur in every state and can also be easily located by searching online. What is a Tax Auction?